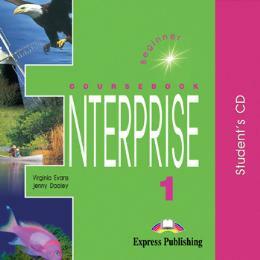 * Enterprise - The coursebooks focus on the gradual development of all four language skills. * A variety of texts carefully selected to stimulate the students'interest through the presentation of thought-provoking subjects and real-life situations. * Captivating stories and games which allow the students to have fun while learningexts and many unscripted recordings. * Suitable for both intensive and extensive exam preparation courses. * Provides a Reviser Guide which allows students to review key areas of the course in the context of the five FCE Papers.through improvisations around the business themes.